Around 1978 or ’79 my brother in law was an avid music collector; jazz, Latin jazz, salsa music, he was into a whole different genre of music than I was and when I went over to his house he would play all sorts of different music and there was one particular record by Irakere. They were a band from Cuba but their jazz was so fast – it was Latin jazz but it was aggressive and that right there captured me because it made me feel like at that time, at that young age, that heavy music – let’s say at the time I was listening to Jimi Hendrix or some Deep Purple or Black Sabbath – there was heavy in jazz and in Latin music as well. But not heavy with heavy guitars what I’m talking about is the feel, the aggression, that’s what I’m looking for, what I try to capture and what I’m looking for in a band. So it doesn’t matter how you interpret it, whether you’re playing reggae, if it’s aggressive it’s aggressive; well reggae really isn’t though, it’s very mellow, peaceful music, but you know what I mean. So that band brought that out and Chucho Valdes was the primary song writer plus he’s a phenomenal pianist. 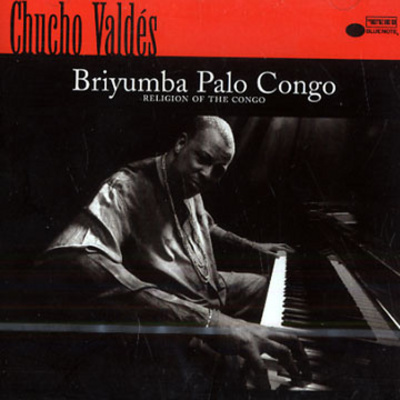 Another thing with that album, Religion Of The Congo, is that it has another favourite drummer of mine on it too, Raul Pineda. He’s amazing at syncopation and I just love his style.